Your kitchen is one of the most used rooms in your home. It’s a place where family and friends gather to indulge in good food, catch up, and of course cook! Therefore, it’s unsurprising that your kitchen can quickly become a magnet for mess and clutter in no time it all, making it difficult to cook, clean and eat. And it’s not necessarily just smaller kitchens that are more prone to clutter. Large, spacious kitchens can quickly become cluttered and messy too, especially if storage space is an issue. After all, as a space in which you carry out a whole host of everyday tasks, it’s easy to see why the practicality of having kitchen storage space that is able to accommodate your exact requirements is important in many households. We’ve complied a list of some of the ways that you can optimise the space in your kitchen. From installing practical storage solutions to integrating a multi-purpose prep and dining space, the possibilities are truly endless when it comes to kitchen design. When you’re designing your kitchen space, it’s important that it’s able to accommodate the demands of busy family life and make everyday tasks such as cleaning, hosting, and cooking as stress free as possible. A well thought out kitchen will not only make life ten times easier, it will also make your space far more appealing than a one that is uncluttered and unloved. With this in mind, think about what type of storage will benefit your household the most. Whether that’s more cupboard space, drawers, or food prep space, the design of your kitchen will depend on the specific demands of family life. Shelving, hooks and integrated storage will also allow you to optimise floor space. If your food prep space is an issue, an integrated pull-out extension can be great way of creating additional countertop space without imposing on the look and feel of your kitchen – allowing you to literally slide it out as and when you need it. Re-designing the entire space. This option is particularly popular amongst households with smaller kitchens. One of this year’s most popular kitchen additions has been an island that provides both a practical food prep area and a comfortable breakfast bar to! An island is also a great space for entertaining and hosting parties. Built in cabinets are great if you’re looking to save space in your kitchen. As well as allowing you to optimise floor to ceiling space, they can also be designed to the exact specification of your kitchen, providing masses of additional storage that is effectively and discreetly concealed. You can even integrate your everyday kitchen appliances into your built in cabinet space. 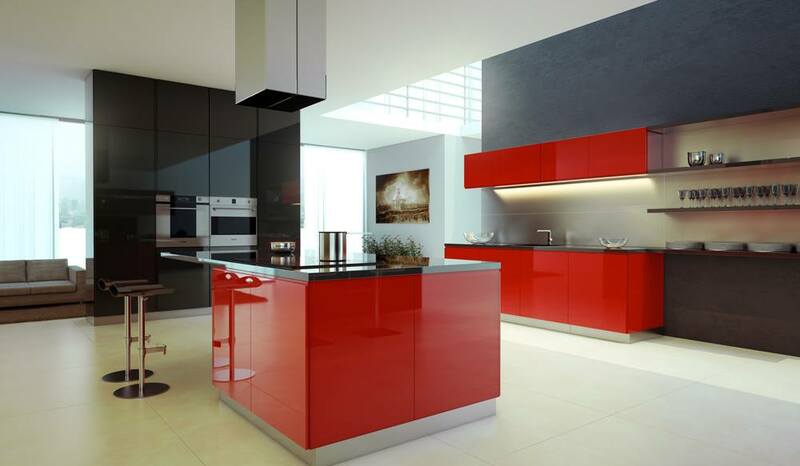 Here at Kenneth Installations in Glasgow, we are experts in our field, providing bespoke kitchen designs that are stylish, durable and accommodating. For more information about any of our services, please do not hesitate to get in touch, our helpful team are always on hand to answer any questions that you may have.